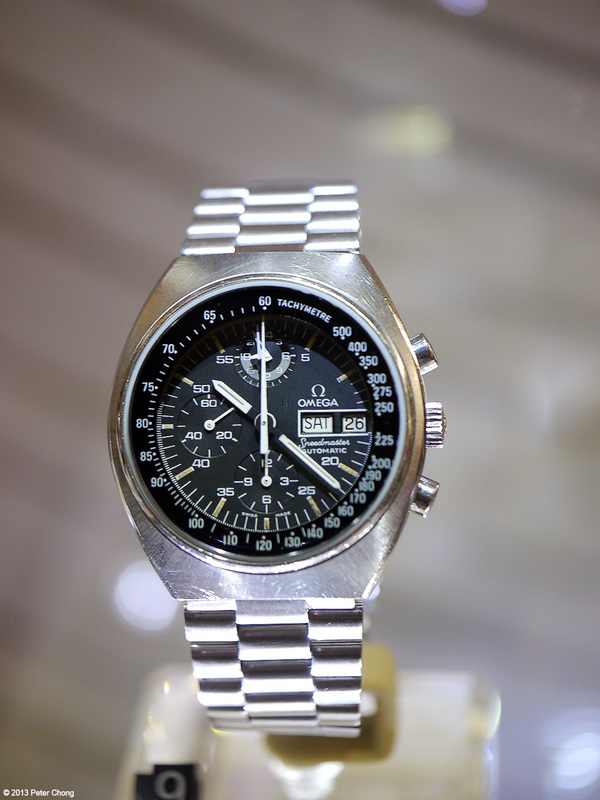 A watch which hardly needs introduction, is an essential piece in when a collector starts on his journey as a serious horology hobbist....the early version of this watch was selected, after vigrous testing by NASA to be the one which accompanies the astronauts to the moon...hence the black dial-ed Speedmaster is often called Moon Watch. 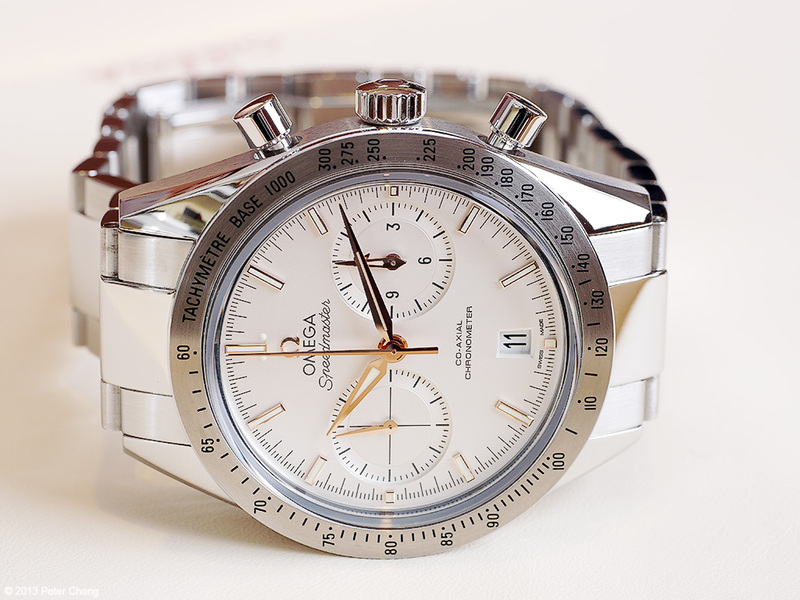 But today's feature is a bit more elegant, with a clean white dial, and equipped with the latest coaxial movement. 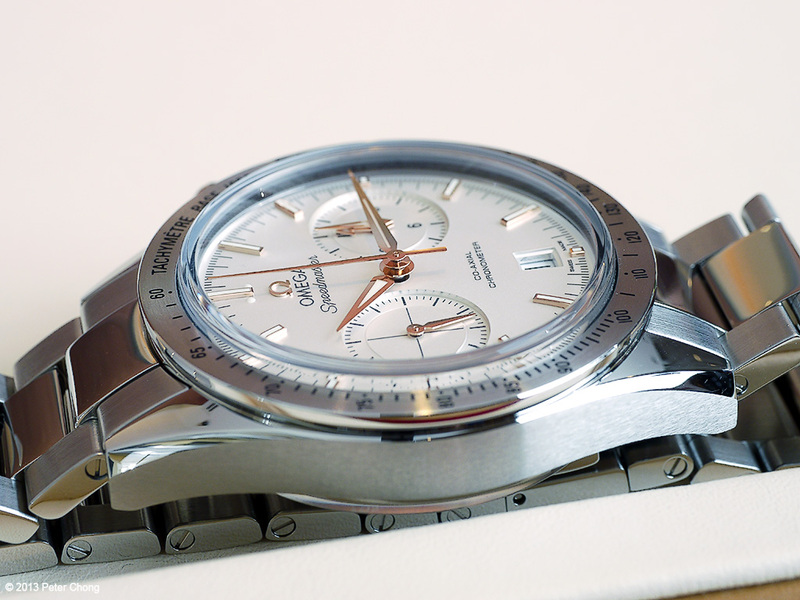 Interestingly, George Daniels, who had invented the coaxial escapement, chose to install his invention on the Omega Speedmaster and went on his way around the Swiss watchmakers, including Omega to pitch the idea of his new escapement. Equally amazingly, he was rejected by all the houses he went to, including Omega. Eventually, I understand on the third try, Hayek Sr at that time, agreed to take on the project, and the Omega coaxial line was born. 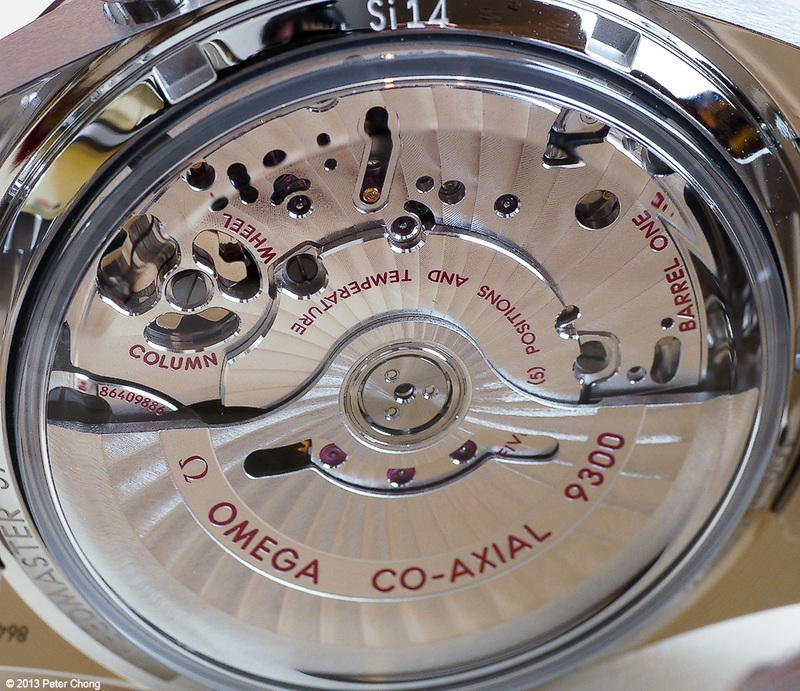 Shown below, Daniels' modified Speedmaster carrying the original coaxial escapement hand made by Daniels. Happy 48th National Day, Singapore!